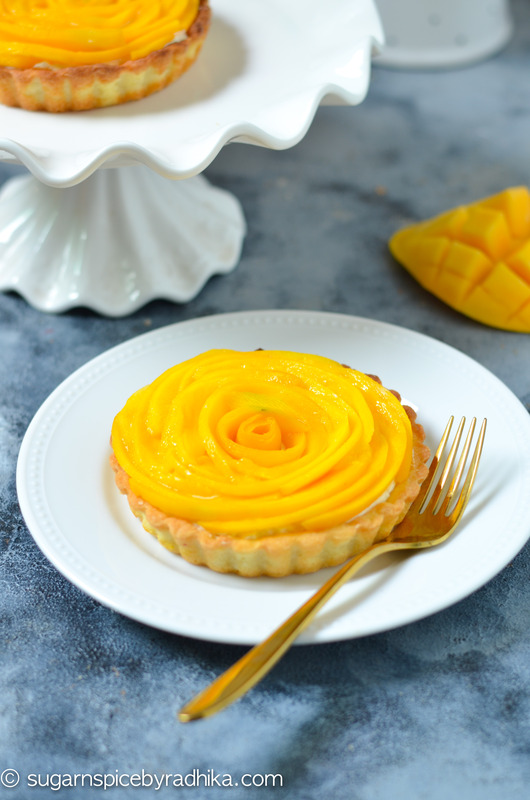 An easy eggless recipe that makes delicious mango tarts with a refreshing mascarpone cream filling with a hint of orange zest and topped with sliced juicy mangoes. Who doesn’t love mangoes? 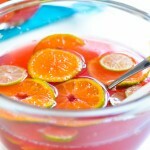 It’s surely everyone’s favourite fruit and now that summers are here I want to use them in all my recipes. 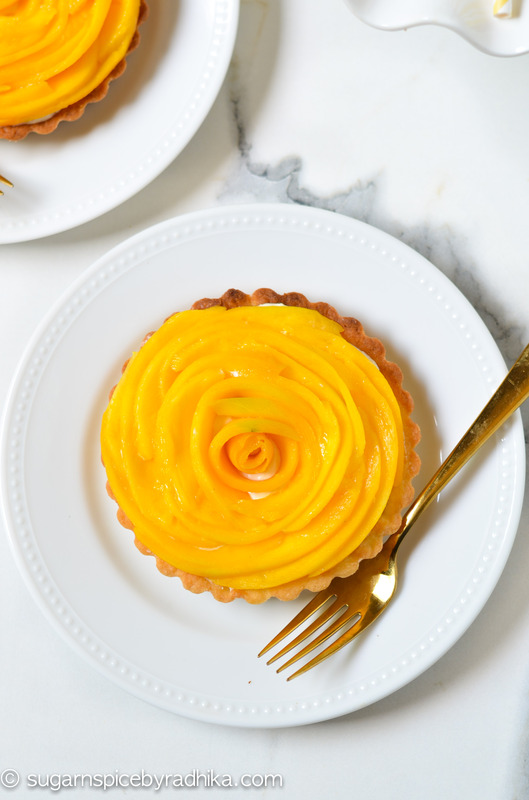 So I made these gorgeous looking Mango Tarts with a creamy mascarpone and finished it with some freshly cut mangoes arranged in a beautiful rosette. The great thing about this recipe is that if you’re not ready to bake the tarts immediately, you can just keep them frozen until you’re ready to bake. For this recipe, I am using my eggless tart shells recipe as it’s made without egg and requires no blind baking. 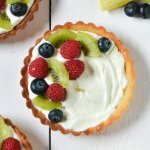 These easy tarts with a mascarpone cream filling are a treat for everybody. 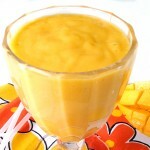 The refreshing mango flavour works best in summers and is right now my top pick. These tart shells are sweet and biscuity, and simply the ideal for topping off with a fixing of your choice. 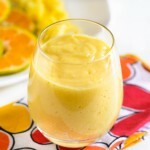 For this recipe , I’ve decided on a mascarpone cream filling with a hint of orange zest and vanilla. It’s quick, easy and delicious at the same time. 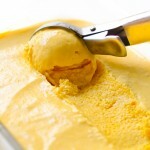 All you have to do is combine mascarpone and whipping cream independently and add orange zest and vanilla to it. 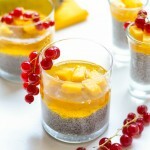 Spoon this filling into the tart shell and decorate it with sliced juicy mangoes! 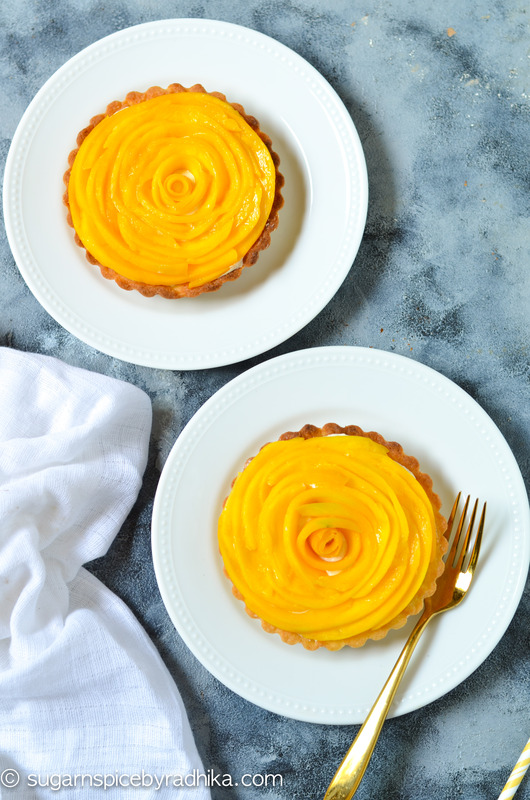 Voila, you have your mango tarts ready! Prepare your tart shells and let them cool down completely. Once your tart shells are cool, it's time to fill them up. To make this mascarpone filling, whisk the whipping cream until stiff peaks form. This should take about 4-5 mins. If you're adding icing sugar to your whipping cream, this is when you put it, and whisk until incorporated. 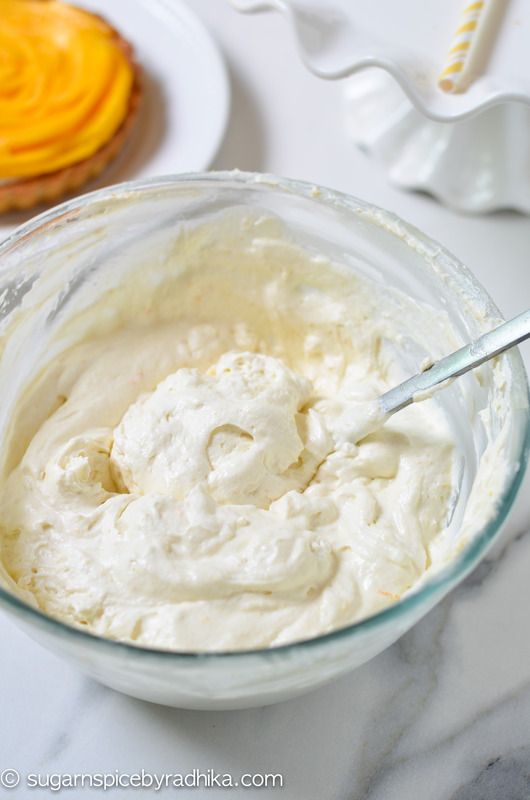 Add in the mascarpone cheese to the whipped cream and whisk for a minute or two or until they're combined.Next, add in the orange juice, orange zest, vanilla extract and mix with a spatula until everything is well incorporated. Chill this in the refrigerator for 30 mins, once chilled fill your tart shells with this orange mascarpone cream using an offset spatula or a spoon. 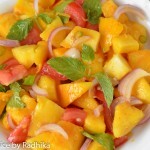 Top with sliced mangoes. 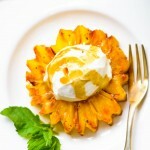 To make the mango rosette on top, simple slice your mango very thinly. Start lining the slices from the outside and work your way in in a rose-like pattern. Serve the tarts cold.